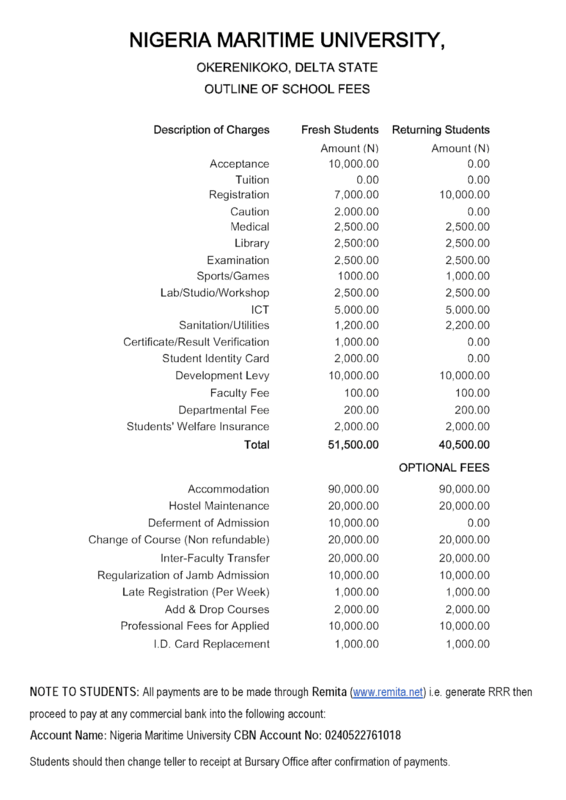 The Nigeria Maritime University (NMU) school fees for new students 2018/19 academic session has been released by the school authority. Just like most Federal and State universities, the Nigeria Maritime University (NMU) School fees reduces as students advance in levels, so students are thus advised to go through to get all important information needed in paying their fees on time. 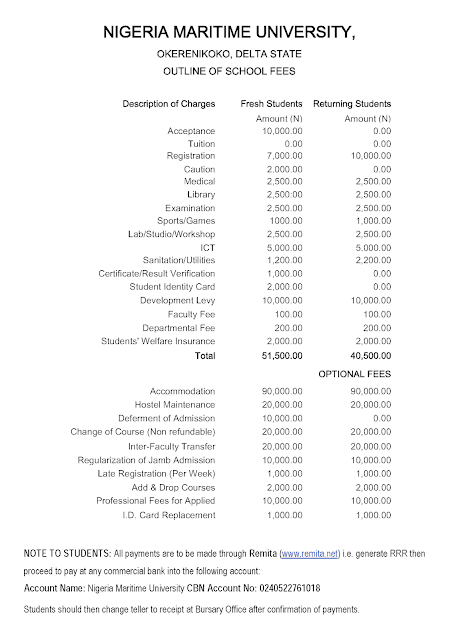 Students should then change teller to receipt at Bursary Office after confirmation of payments. Please note that nmu acceptance Fee for new students regardless of the faculty is N10,000 Naira only and this is to be paid before any other payment is made. Since acceptance fee directly means the student has accepted the provisional admission from JAMB. Hope you get what you visited this page for? if you have any inquiry as regards NMU School Fees for new students 2018/2019 academic session, simply scroll down to the comment section as seen below, send your inquiring and we shall respond in no time. Gooday.. Id like to know if subject combo won't be a problem..?